I was asked to take a savoury paleo dish to an Australia Day lunch that would ‘wow’ the host’s husband. 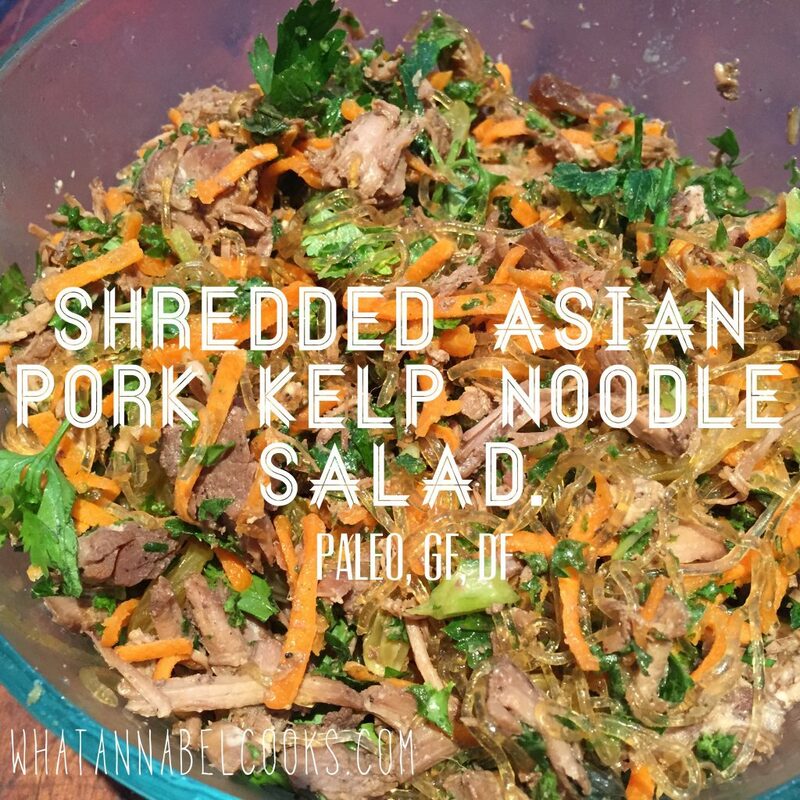 Feeling no pressure whatsoever (;-)) I ended up do a twist on the pulled pork from the pulled pork taco recipe and turning it into an Asian noodle salad. Success! This recipe made a large salad – great for a smorgasboard lunch. Begin this recipe a day or 2 earlier for the best flavour. Mix together and marinate for at least a couple of hours, preferably overnight. Put all ingredients into a slow cooker and cook for 6-8 hours on low (or until tender). Shred. Set aside. If you’re not serving on the same day, put into a container and refrigerate until you are going to serve. Put all salad ingredients in a large bowl and toss well. Warm the shredded pork if not using immediately after cooking. Add pork including the juices that have come out in the cooking to the salad and toss well. Serve – could add toasted slivered almonds or fried onions for a bit of crunch too. « I haven’t forgotten you! Welcome to 2015.